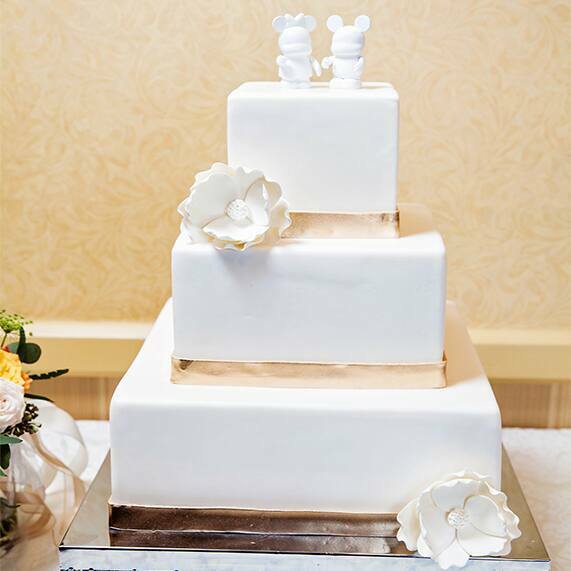 It's always so fun to see how couples incorporate subtle Disney elements into their Disney's Fairy Tale Weddings. Some of my favorite ideas include placing a hidden Mickey crystal in the bouquet or weaving a meaningful Disney love quote into the vows . 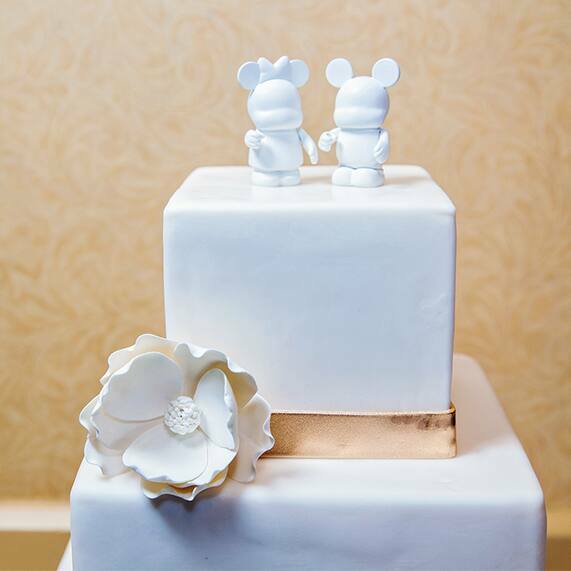 A recent Disneyland Resort couple added another favorite (and probably the most delicious) to my list by topping their cake with Vinylmations which added just the right amount of Disney magic to their traditional cake.